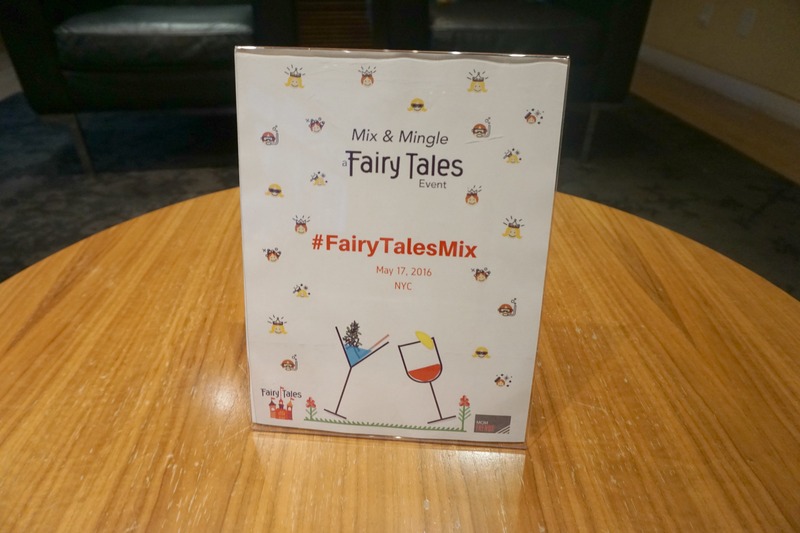 Fairytales Haircare and Momtrends hosted a #Mix&Mingle event to celebrate the new formulation for the Fairytale haircare products. I have been a Fairytale lover since Kayla started school three years ago. I knew starting school could bring pesky head lice. 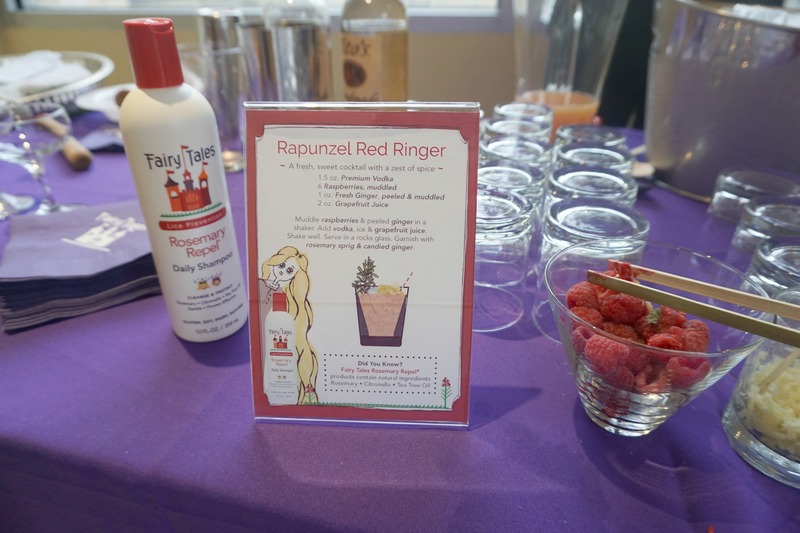 I first discovered FairyTale Haircare at Ulta and purchased their Rosemary Repel Hair Spray and Hair Gel.Going to this event last week was exciting because I got to see whats new with FairyTale. Fairy Tale has been caring for families since 1999. FairyTales offers professional haircare products for the whole family affordable,high-quality and natural ingredients for everyone. FairyTales products are made with our children in mind, and they know that children’s hair can be problematic – head lice, swimmer’s hair, knotty tops and curly locks. So this summer where ever your family is heading don’t forget to pack FairyTales in your bags. The ingredients in their products are so natural that you can even mix you some cocktails with them!! This recipe is for the Rapunzel Red Ringer Drink, The Rosemary Repel contains Rosemary,tea tree oil and citronella which help repel head lice and keep your child’s hair cleansed and hydrated. Summer is right around the corner, and being in the sun swimming away is what our children love to do the most all summer long. 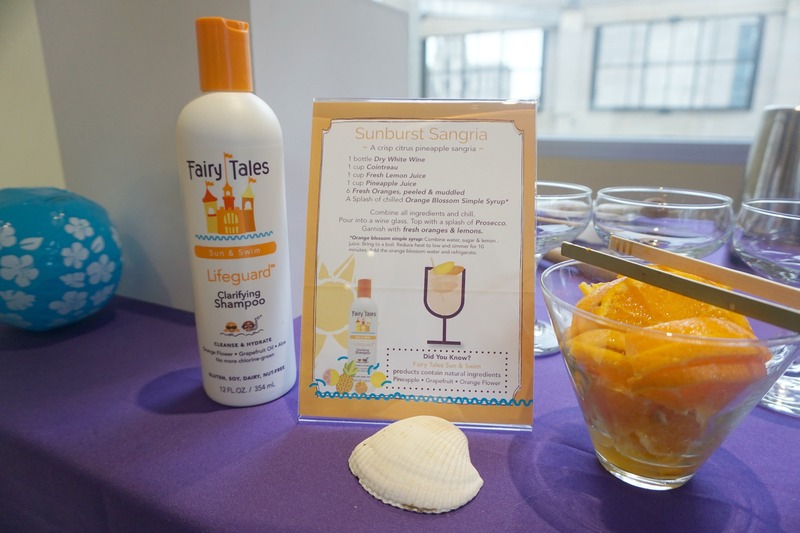 I am so happy to have discovered this FairyTale Sun & Swim Haircare Line that is safe for kids. The sun can really dry out the hair and make it look dry and brittle. The After-Sun Spray can Detangle & Hydrate with its Banana Leaf,Coconut oil and Aloe ingredients. Lifeguard Clarifying Shampoo works great for removing chemicals in the pool or salt water from the beach. All Natural ingredients consists of Orange Flower,Grapefruit oil,and Aloe. The Lemon-Aid conditioner Nourishes and Hydrates and instantly replenishes moisture to dry sun damaged hair. Being a Busy moms, I am always rushing in the morning to do Kayla’s hair for school. Her hair is naturally wavy so it gets really tangle all the time. Having a good detangling spray is essential, when brushing your child’s hair the Tangle Tamers can save the day. 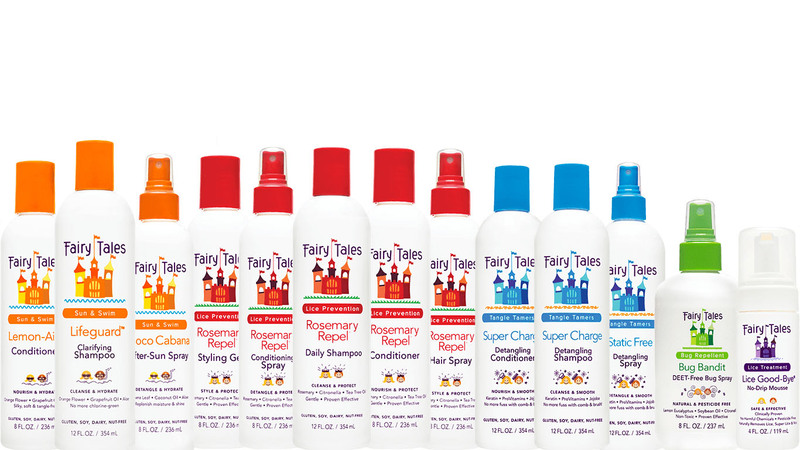 The Fairytales Tangle Tamers help hair feel silky soft and be tangle-free. The Tangle tamers is also a Shampoo,conditioner, and Detangling spray are perfect for everyday use. Keratin protein, ProVitamins and Jojoba Oil are the key ingredients for no more fuss with combing and brushing! As a mother just the words “Head Lice” gives me the creeps. I take all the necessary measure to prevent those awful bugs. Reality is that if you have school aged children most likely you will receive a notice from school stating the Lice Outbreak, Ughhh. I feel you mama been their don’t that, Kayla got lice from school two years ago in Pre-K and it was not a fun experience. Good thing we used FairyTales Survival Kit to remove those bad boys right out. 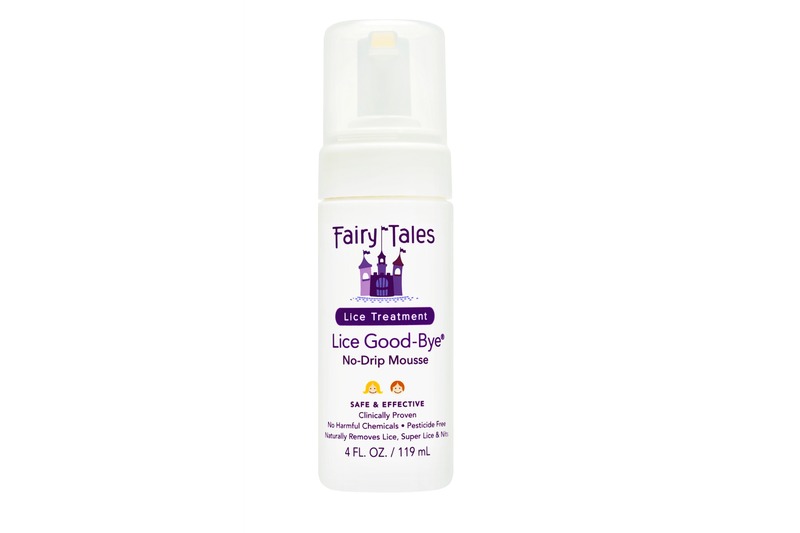 Lice Good-Bye is a Drip-Mousse made from Natural ingredients to remove lice & Nits without using harsh chemical in your child’s hair. 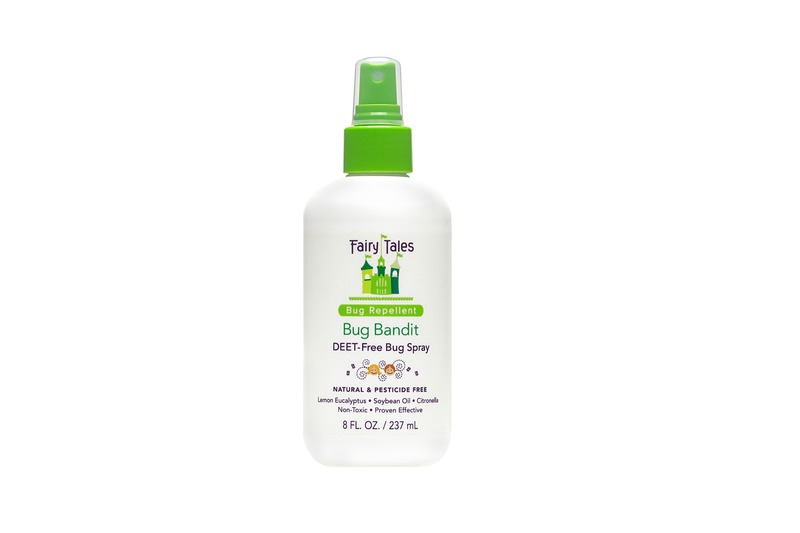 FairyTale also has a Natural Bug repellent, The Bug Bandit is Deet-Free. Annalee went into anaphylactic shock last year at the end of summer from a mosquito bite, it was one of the most scariest experiences of my life. Having a child who is allergic to mosquitos this product will be perfect for bug season. Lemon Eucalyptus,Soybean oil and citronella are all non-toxic ingredients who are proven to effective repel all of the summer bugs. Please support Fairytale haircare Products on Social media! 11 Responses to "FairyTale Haircare Products and Giveaway #FairyTalesMix"
I’m so excited for these products! My favorite was the The After-Sun Spray Detangle we all know how stubborn tangles can be! I’ve never tried any of these but I would love the detangler for my little sisters hair. She has curly hair and it gets tangled a lot! This would be great to try for my girls. Wow finally I see a product that might work for my daughter hair. I’ve been looking for some good products. I love the rosemary repel line. I’ve used it sparingly through out the years. But it always works well! Nice vlog! I love the variety of hair treatments under one line. Its so great to find a product that is safe and natural but also strong enough to combat things such as lice! i like the Super Charge Line!